When the Kansas City, Missouri School District’s Board of Education approved the sale of Swinney Elementary School this week, it didn’t just go to the highest bidder. Board members also selected the developer with a proposed renovation plan more in line with the desires of the surrounding community. Kansas City Sustainable Development Partners, LLC, plans to transform the closed school building into medical offices. “I think there’s a real appreciation for the fact that this is a Kansas City team,” district Repurposing Initiative Director Shannon Jaax said. At the same time, she acknowledged the district did consult with its outside legal counsel after due diligence turned up some troubling information about the background of one development team member, Edward F. “Chip” Walsh. According to information available from the Missouri Secretary of State’s office, Walsh is an organizer of the company and its registered agent. In 2008, Kansas’ Supreme Court upheld the indefinite suspension of his license to practice law. Missouri — where he was also licensed to practice — reciprocally suspended his license for at least one year. He lost his license because of questionable legal and business practices and because he attempted to prevent witnesses from testifying against him in a hearing. Walsh is not representing the developer in a legal capacity. In addition to Walsh, public records list two other organizers. Louis D. Steele is a local businessman who works in commercial real estate investment. And Michael W. Knight is an out-of-state developer with experience renovating historic school sites. 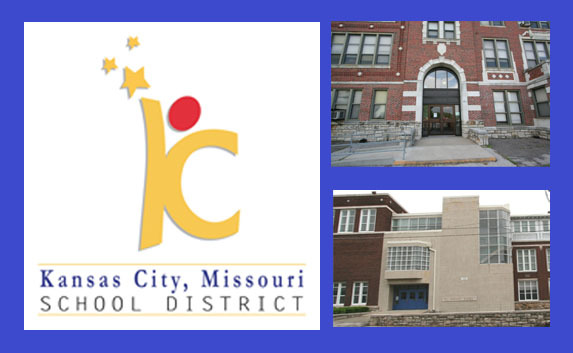 Despite questions about the integrity of one of the organizers, administrators with the Kansas City, Missouri School District decided to approve the bid because of the experience and qualifications of other development team members. According to Jaax, three other members of Kansas City Sustainable Development Partners not listed on public documents are Bob Berkebile, David Brain and Butch Rigby. Brain is president and chief executive officer of Entertainment Properties Trust, a Kansas City-based real estate investment company originally associated with AMC Theatres. Most recently Entertainment Properties has focused on investing in public charter schools. Berkebile is an architect associated with BNIM, a Kansas City-based architectural, planning and design firm. Rigby is an attorney, an early developer of historic property in the Crossroads district and an owner of the local Screenland Theaters chain. He is also chairman of Thank You Walt Disney Inc., a nonprofit organization attempting to save the building in Kansas City where the famous animator’s Laugh-O-Grams Studio got its start. According to Rigby, most of the development team members — including Walsh — originally met as members of the now-closed Rockhill Tennis Club. They even made a still-pending offer to purchase the closed Bryant Elementary School and create a new tennis club there. And Rigby said all of the partners knew about the suspension of Walsh’s law license when they decided to go into business together. “He was always very frank about it, very open about it, and said he was happy to leave the group if anyone had a problem with it,” Rigby said. Some skills Walsh brings to the team, Rigby said, include his skills as a spokesperson and “incredible working knowledge of some legal issues.” In addition, Rigby credits Walsh with leading efforts to reach out to neighbors of the closed school buildings. Both Jaax and Rigby underscored the importance of considering the community in redevelopment plans for closed schools. The repurposing director emphasized how important it is for her district to sell property to buyers who not only can afford to close but can also afford to carry development plans to completion. And the developer emphasized the obligation government entities such as school districts have to think of more than just “dollars and cents,” to think of “responsibility to the neighborhood.” As a matter of fact, because he lives in an older home not too far from Swinney school, Rigby says he is a neighbor, himself. Although development plans for the school are still in the beginning stages, Rigby described his team’s vision for the old school, starting with landscaping to help the building blend into the neighborhood. He spoke of a desire for sustainable renovation, making Swinney “as green as it possibly could be.” He also spoke of preserving the high ceilings, wide hallways, wood trim and floors, even the old slate chalkboards. “The school building invokes a memory for everybody,” Rigby said. Besides receiving approval to purchase Swinney and bidding for Bryant, this development team also won the right to purchase the closed Blenheim Elementary School, which they intend to transform into senior housing and a health clinic. According to the Kansas City, Missouri School District, Blenheim is eligible for inclusion on the National Register of Historic Places and Swinney might be with the removal of 1990s-era additions. Both are architectural examples of Progressive Era school buildings. Swinney and Blenheim are just two of 30 schools that the Kansas City, Missouri School District has closed and is attempting to sell. Declining enrollment means the buildings are no longer needed for classroom space. Sales proceeds will go to pay off more than $33 million in school bond debt. Sales approved by the board this week are not final but are subject to various contingencies such as providing proof of financing and addressing community issues. Walsh did not respond to a message requesting an interview for this story. CORRECTIONS: A previous version of this story incorrectly reported the identity of the high bidder for Swinney elementary school and the number of closed schools in the district’s repurposing program.